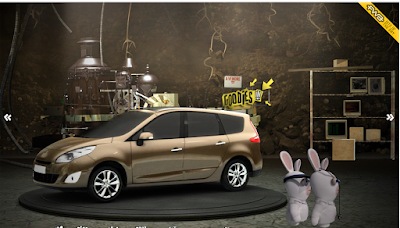 Publicis have created a really cute website for Renault where Rabbit scientists test the car and show off it's attributes. I am a sucker for cute ads, especially ones involving animals (or cartoon renderings). It's in French but you still get the idea.